The major task for COSC 360 students is to work in a team of 3-4 to design, build and polish a complete game. 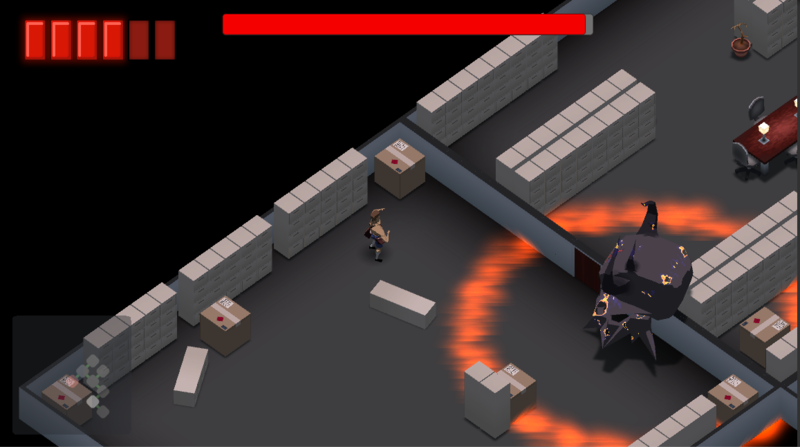 The games are built in Unity and are playable in the browser. Students are free to choose their own mechanics and theme for the game. We have games covering a range of genres; shoot 'em ups, platformers, puzzle games, tower defence and more. If you have any questions or feedback, please get in touch with Lech Szymanski. 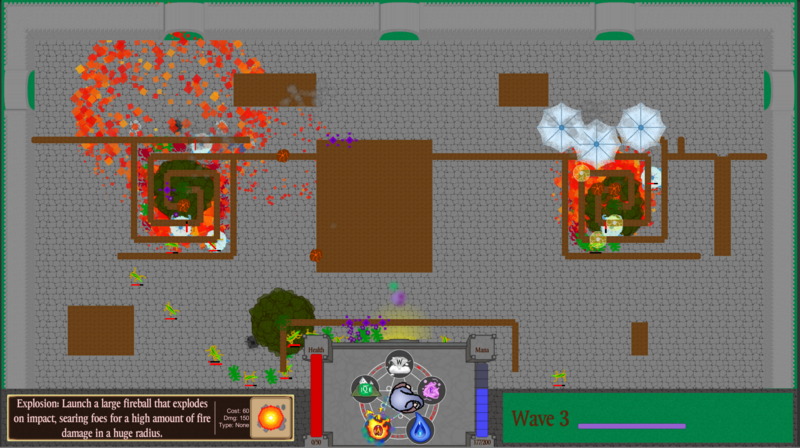 This is a tower defence game where you play as an alchemist, combining elements to cast spells. These spells will give you the power to face off against waves of goblins and other monsters assaulting your fort. There's a large variety of spells with different effect to discover and play around with. 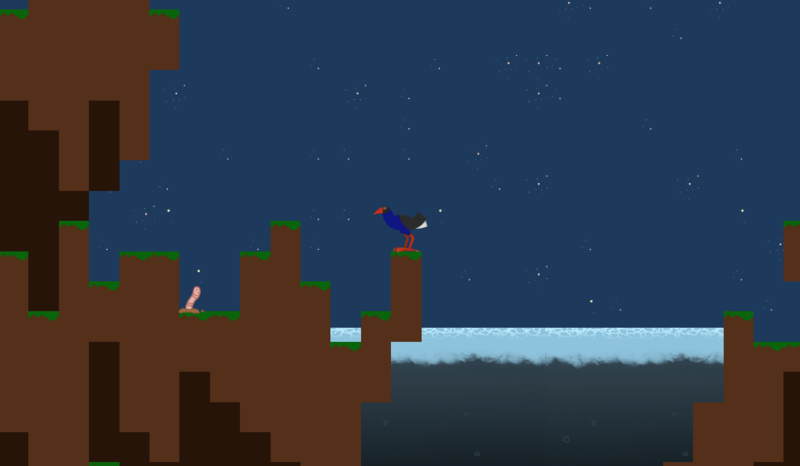 Bird Quest is a New Zealand themed puzzle-platformer. You are a mother Pukeko and your chick has wandered off. 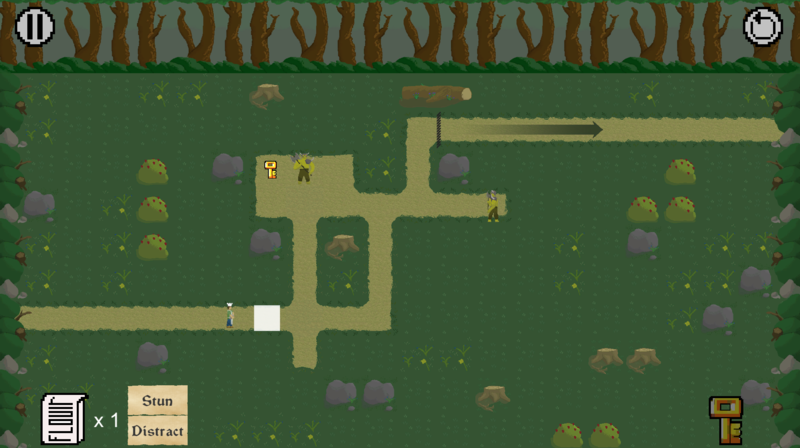 Your job is to explore the area, avoiding danger and solving puzzles along the way until you find him. But your chick is still not safe! He needs to be guided back to the nest where you can keep an eye on him until the next time he wanders off. Bouncy Ball is a 2D, puzzle platformer in which you control a bouncy ball that has its size changed by temperature in the environment. 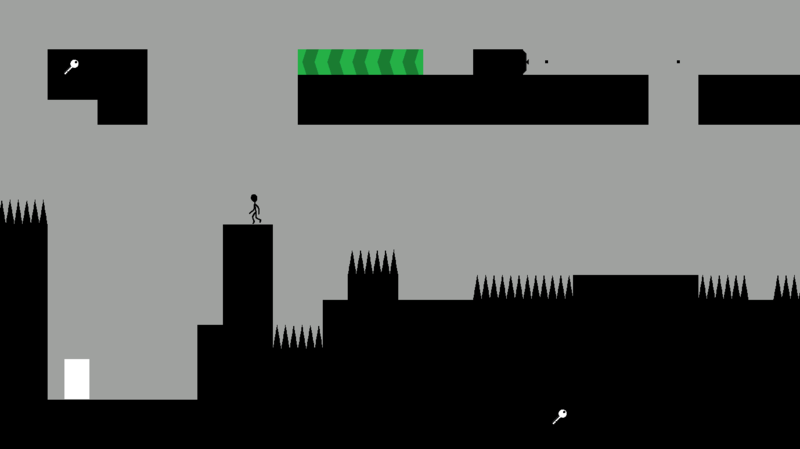 These changes in size are used to get through obstacles, navigate ball-loving dogs, and avoid hazards throughout the five levels. Desserted Is a 2D top-down turn based puzzle game where you the lonely town baker must venture through a forest full of tricky puzzle avoiding all threaten obstacles with nothing but a bag of all-purpose flour with you. You have think about your every move carefully as you progress, as each step you take, the enemies around you move as well. 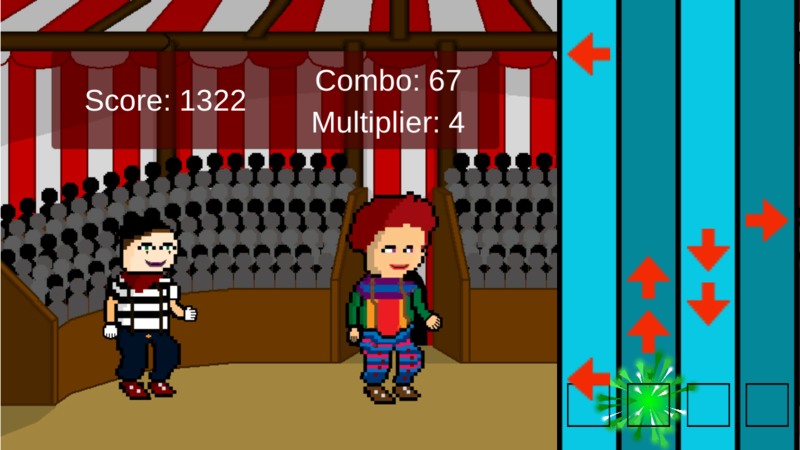 Kingdom of Elem is an Action Platforming game that’s centered around boss fights. You play as King Taal, on a journey to claim the gems; protected by the four elemental guardians to stop an ancient evil. Momentum is a fast-paced, physics-based puzzle-laced platformer where you solve labyrinth rooms in order to obtain the key fragments needed to return home. Putting the almighty Newton's second law of motion into effect will be critical to traversing the terrain and navigating your way through each level. Ravenclaw is a 2D platform game based on The Prose Edda. The aim of player is to travel through each level horizontally, fight with enemies and finally defeat the boss Fenrir, the first son of Loki. The character is represented by a raven-like creature, who gained power from his Master Odin, travel through the Yggdrasill from top to the bottom, defeat bosses to breaking the prophecy of Ragnarök. Ever wanted to be the greatest circus performer of all time? No? Well, here's your chance Start your journey as the newest member of the crew and climb the carnival ladder, meeting some weird and wonderful characters along the way! And remember there's no failure at the circus, only fun! 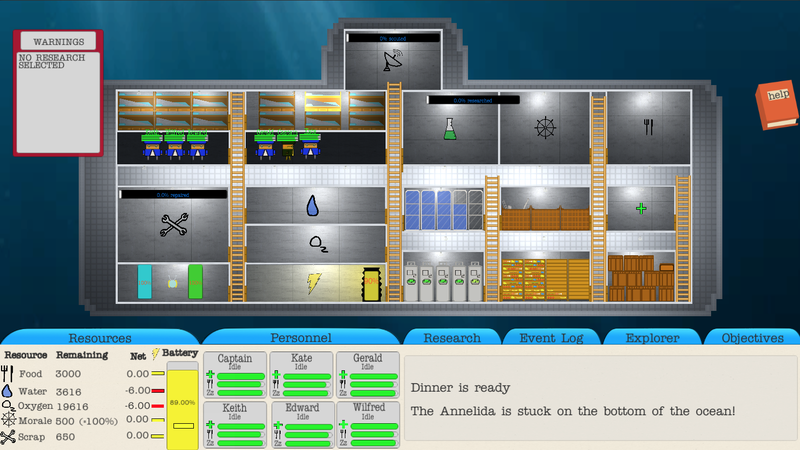 The Annelida Case is a Resource Management Game, which is set in a Submarine at the bottom of the ocean. The mission is to repair the Submarine by collecting scrap in an explorer vessel and then return to the surface. The resources that need to be managed in order to survive are Oxygen, Water, Food, Morale and Scrap. To increase the odds of survival, research can be done to improve efficiency of resources. There are 6 Crew Members to control. Each Crew Member can be assigned one of numerous tasks to keep the Submarine going. Each Crew Member must sleep and consume food to survive. hazards throughout the five levels. Dunedin, New Zealand, has been hit by a Zombie virus outbreak. The streets aren’t safe. O-Week may not go ahead! In this top down horror survival shooter, play as Bryan, Campus Watch’s finest operative, to kill zombies and save the city. 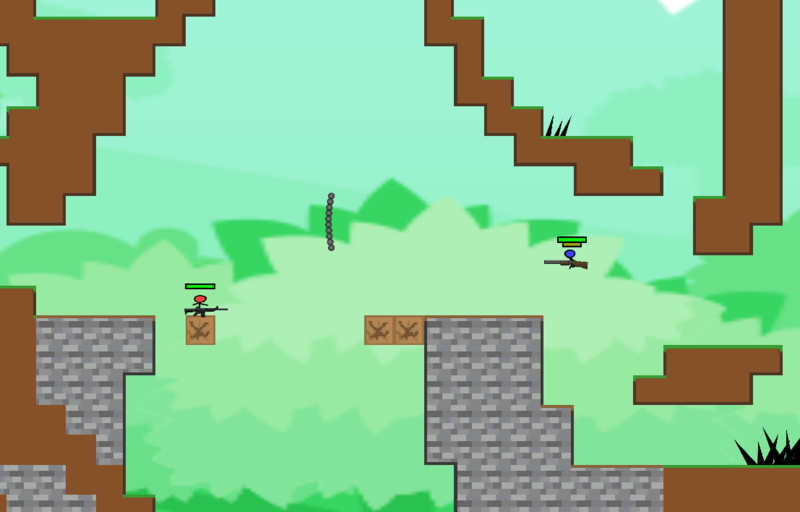 Bullet Brawl is a two player competitive action platformer. Use the collection of weapons found in each arena, as well as the weapon based movement to best your opponent. Egg Roll is a tribrid of Line Rider, Side scroller and Platformer. 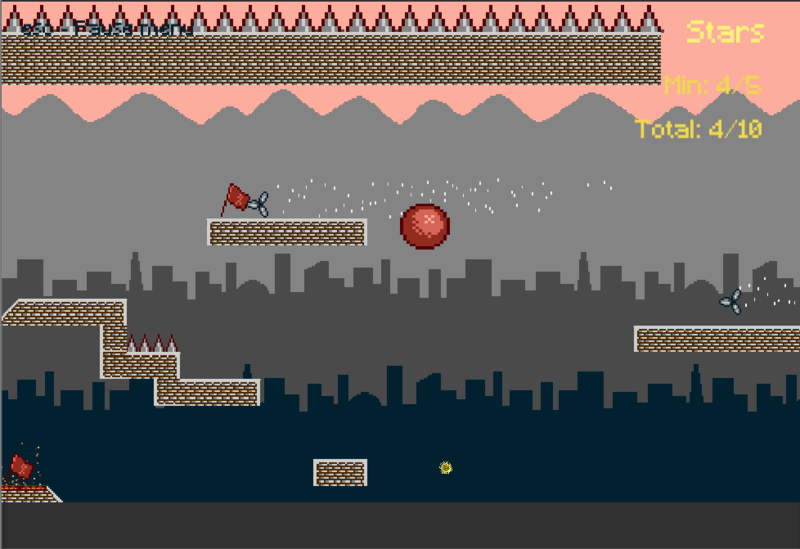 In this 2D game, your aim is to get as far as you can, avoiding various enemies, traps and obstacles to try and get the highest score. 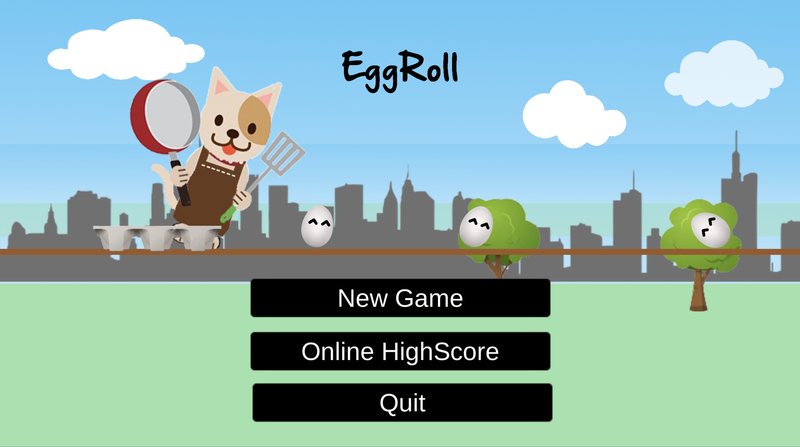 You play as an innocent little egg trying to escape a cat chef trying to turn you into an omelette. Once you escape the kitchen, you are vulnerable to a dangerous world of traps, enemy's and obstacles. Good luck, and see how far you can run! But don't take too long to tackle a trap, the cat's still hungry! 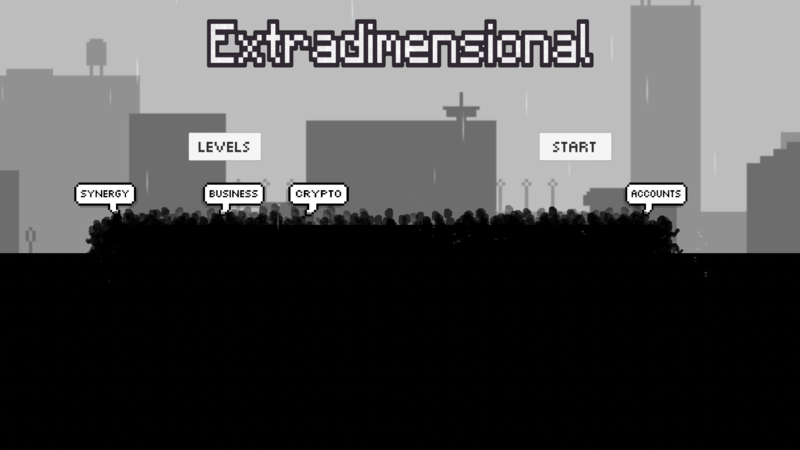 "Extradimensional" is a fast paced side-scroller where you chase colour through two, monochromatic dimensions. 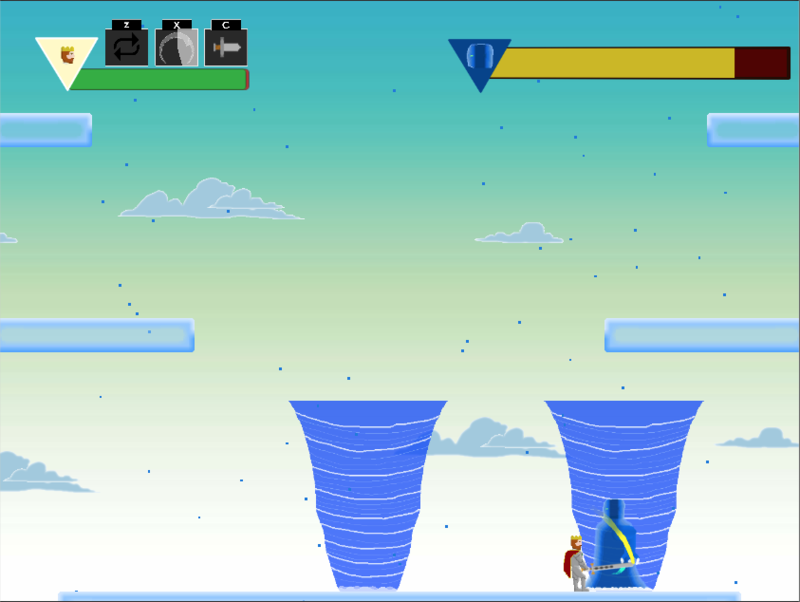 The gameplay is focused around changing between a black and white dimension to collide with (or pass through) objects as you pursue a colourful comet overhead. Every puzzle is simple to solve but must be solved at pace, making Extradimensional a combination of endless runner and puzzle platformer that takes the speed of the former to make the latter more exciting. The planet Europa is being an invaded and it's up to you to save it! 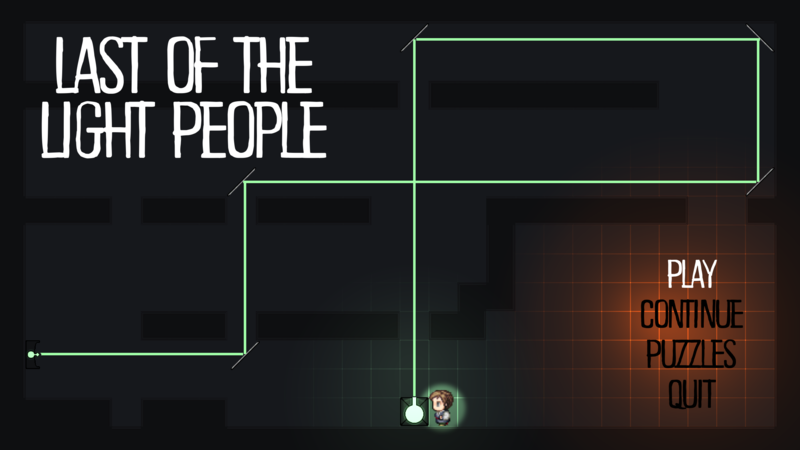 Last of the Light People is a 2-D Puzzling-Platformer created by Team Zippleback. You play Ray Don, the last of the free light people. Moving beam emitters around the game world solves puzzles and, if you're good enough, saves your friends. 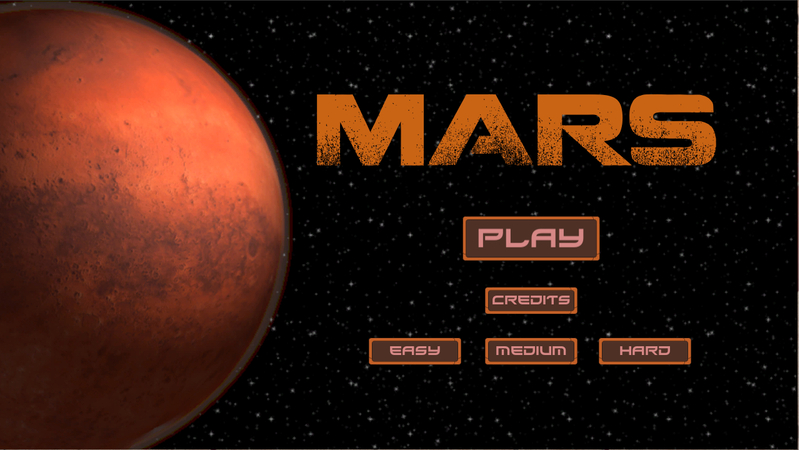 Mars is a science fiction, text based game set on Mars. You control a set of 6 survivors of which each has two traits that influence what direction the game can go in depending on how you use them. The survivors’ outpost has been destroyed by a huge storm, and you must travel across the planet of Mars to get to your main base before the storm hits. You must manage four different resources in order to survive on your journey. On this planet where even surviving a day can be difficult you must learn to make sacrifices, cheat, lie, steal, and do whatever it takes to survive, but just remember that all actions have their consequences. Time-Hops is a 2D puzzle platformer which follows the adventures of a time-traveling mushroom. In Time-Hops you have to use your power of time travel to navigate levels and solve puzzles. Above and Below is a 2D puzzle platformer where you control a brother and sister, Iliana and Dion, who were separated when the robot uprising forced the women and children of the human race underground. They meet by chance and must work collaboratively to find each other again. You can switch perspective from Iliana to Dion and back again with the touch of a button. 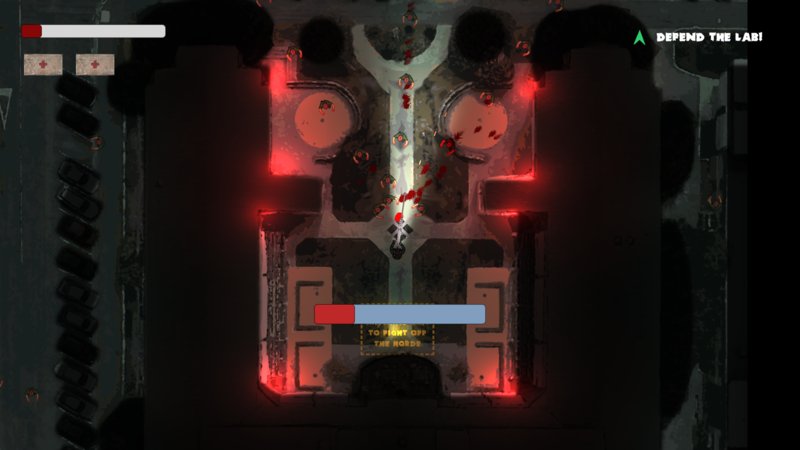 They rely entirely on each other in order to solve the puzzles and move on to the next level, so prepare to challenge yourself as you make your way through Above and Below. 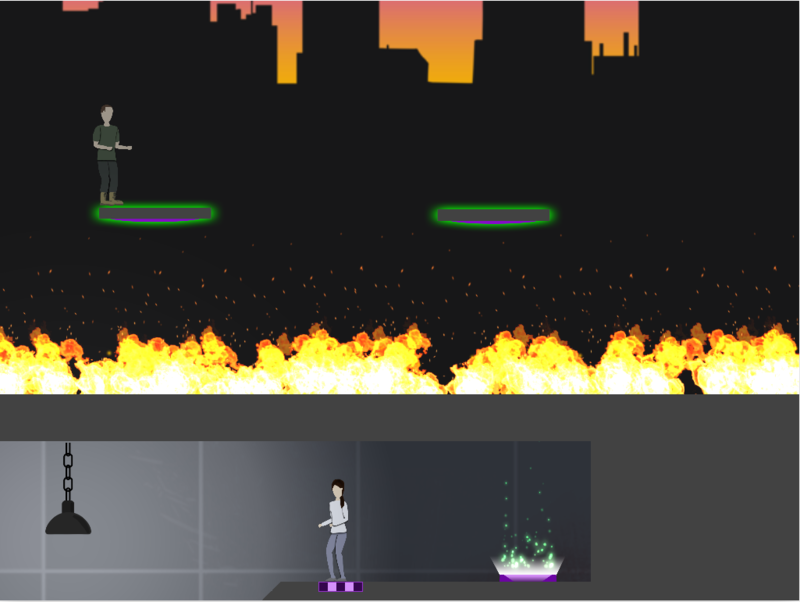 Dust is an atmospheric 2D side scrolling puzzle-platformer game empowered by Unity. 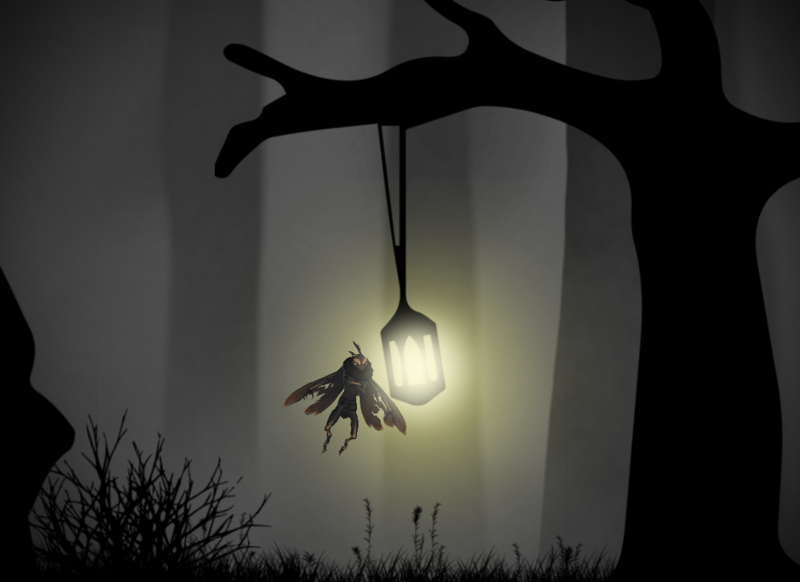 DUST enchants players into the role of a photophobic moth trying to find his daughter. 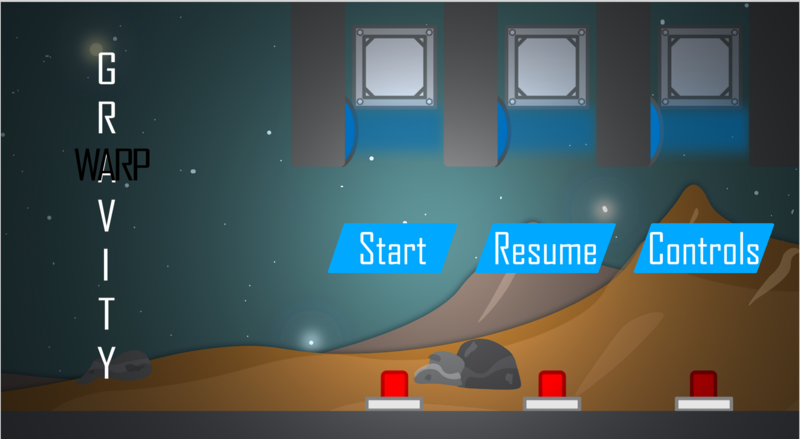 Gravity Warp is a 2D puzzle platformer where you must manipulate the direction of gravity in order to solve puzzles and advance through an abandoned research facility. 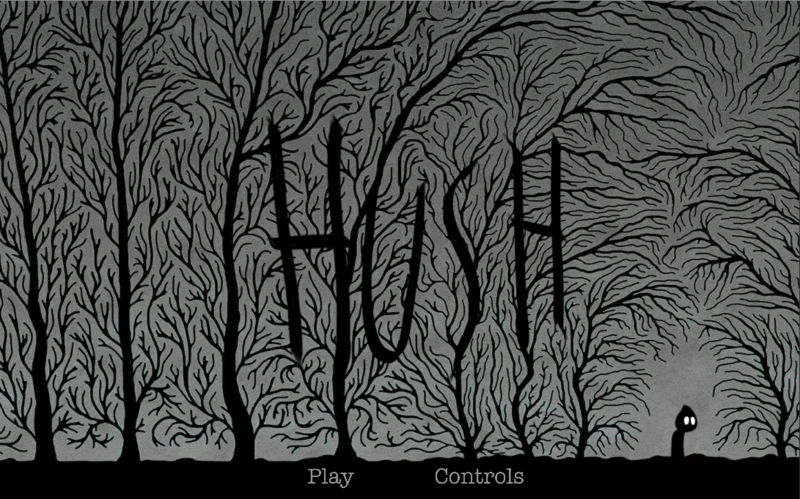 HUSH is a 2D puzzle platformer which follows a young boy’s journey back to his dad. 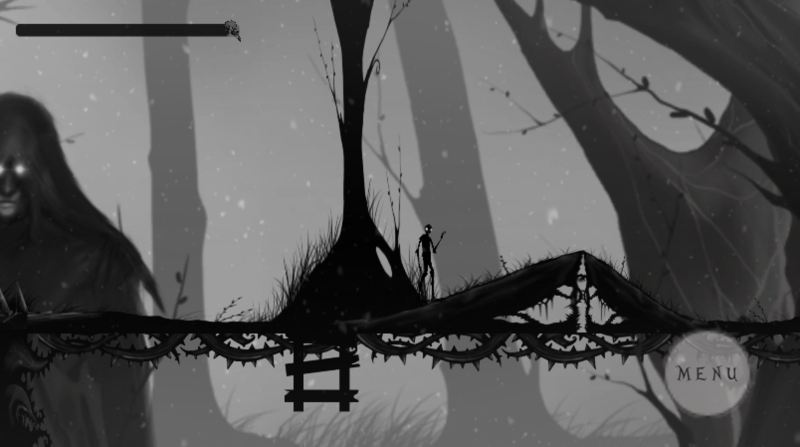 The boy must avoid enemies and use his wits to navigate through his environment. Along the way, he uncovers repressed memories about his last conversation with his father that help him understand why he needs to return home. 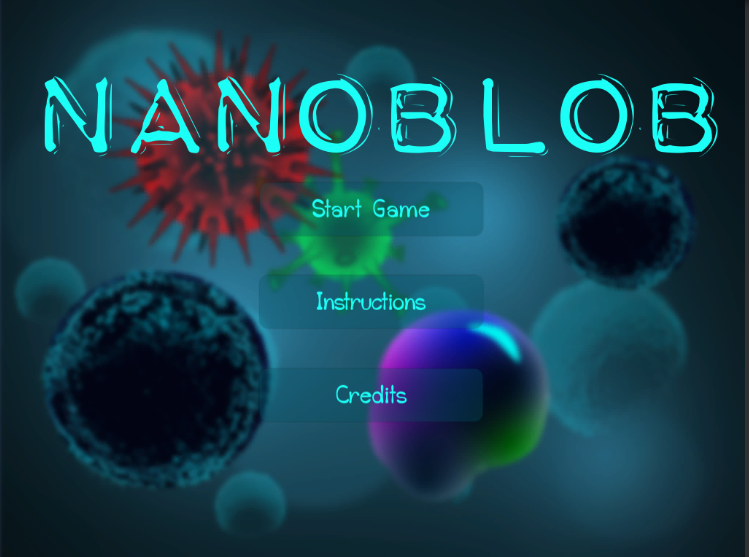 Nanoblob is a game where the player character is a synthetic life form with a unique metabolism. The core objective is to consume smaller prey to grow in size while avoiding larger predators. 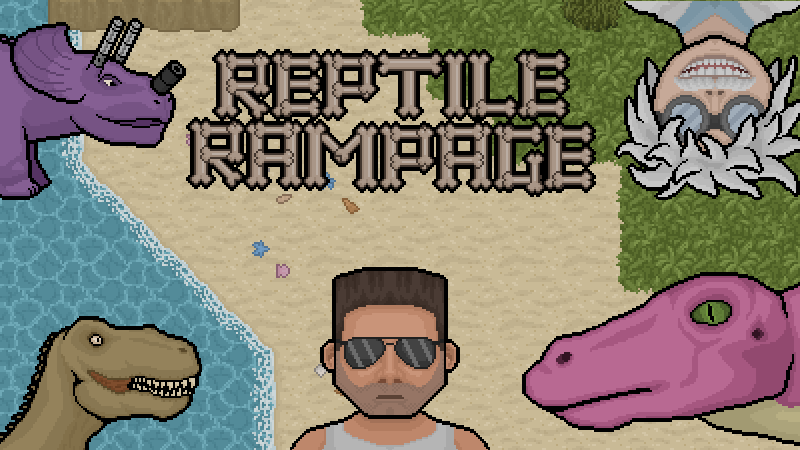 A rip in space time has dumped a deluge of dinosaurs on Doom Island and Gavin the mad scientist has turned them into Triassic Turret Tripods by fitting them with huge guns, in this twin stick shoot em up, slay hordes of weaponised dinos and stop the madman Gavin before he takes over the world! Revenge is a 2D platform shooter where you are tasked with recollecting the pieces of your suit, in order to defeat your enemy, and get Revenge!! Roots of Evil is a 2D farming simulator with a twist - the plants have a chance to "wake up" and try to murder you. 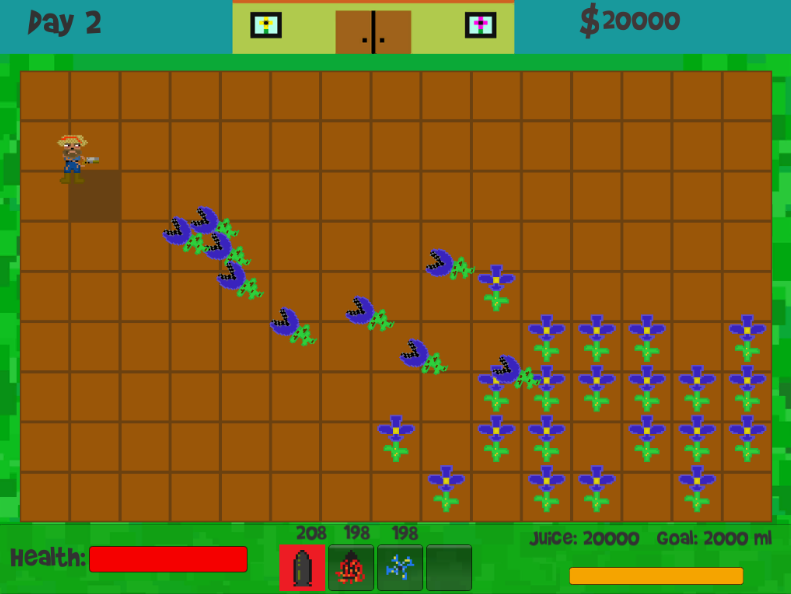 You play as a farmer tasked with harvesting a special chemical from potentially violent plants. You can use your money to buy plants, special ammunition, and more as you try to harvest enough to fulfil your contract. Will you make it out alive, or will the plants get the better of you? 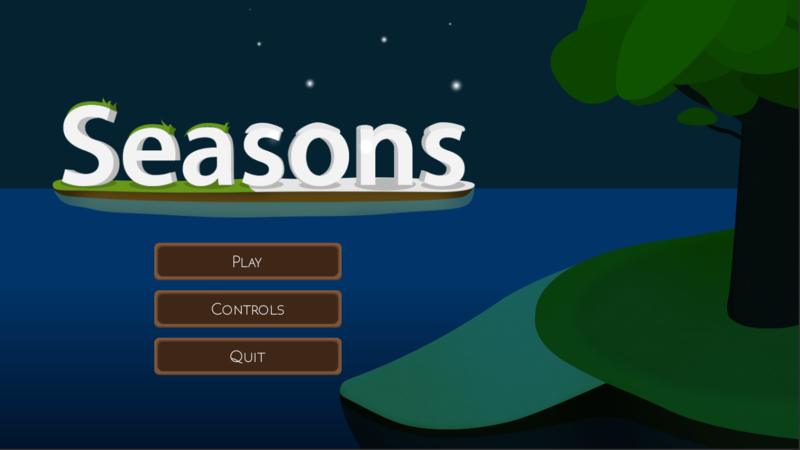 Seasons is a game where you play as a character on a deserted island in the middle of the ocean with no other land in sight. You must survive the elements and prepare yourself for the cold winters and the hot summers ahead. Using the island's resources at your disposal you must make wise decisions on how to best spend your time, as you might fall short of resources and supplies to stay alive. 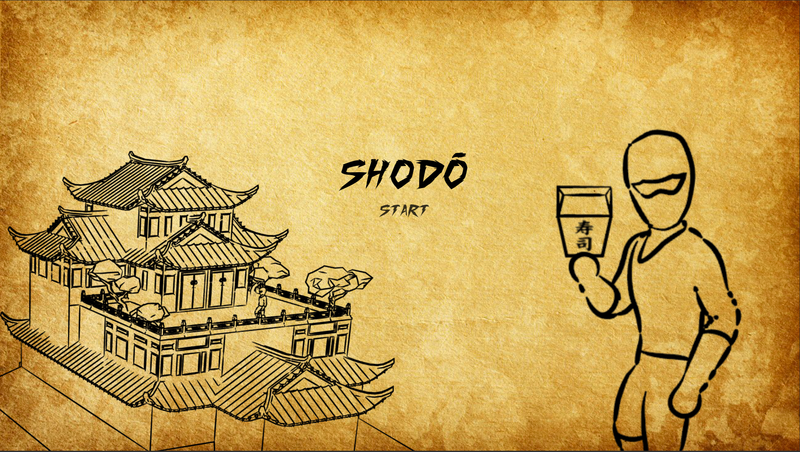 Shodo is a top down beat em up. You play as a ninja who infiltrates a Palace. Fight waves of enemies, learning new combos as you go. 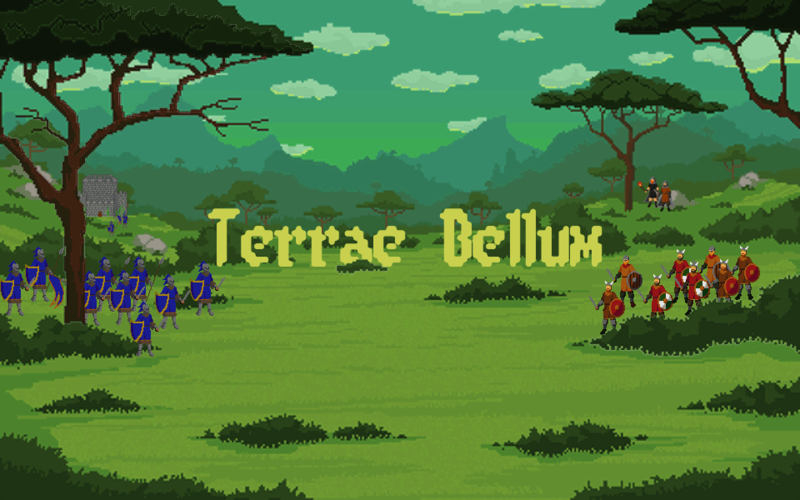 Terrae Bellum is a turn based strategy war game. In which you are England fighting off Viking invaders. The aim of the game is to become strong enough by building farms, barracks, and walls such that you can fight back and regain your land Ultimately destroying all the Vikings.